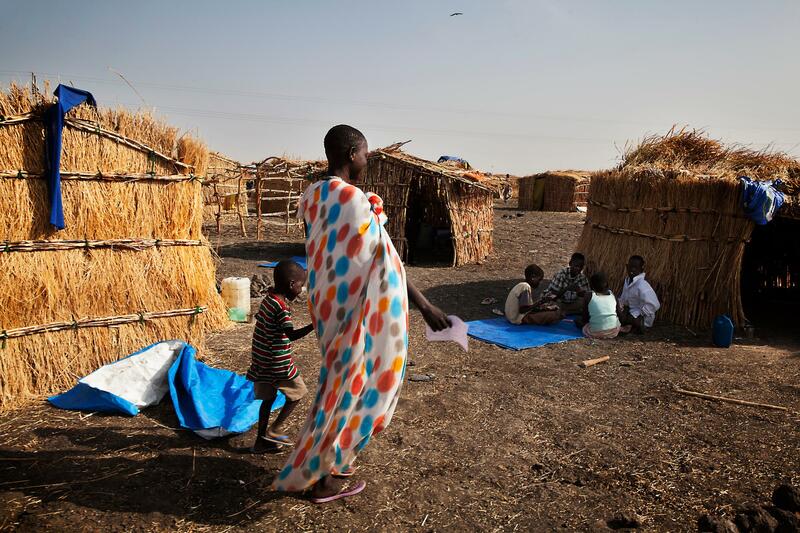 Violent clashes have forced more than 15,000 people to seek refuge in newly created camps in Melut county, in South Sudan’s Upper Nile state, in recent weeks. With thousands of people in need of humanitarian assistance, the international medical humanitarian organisation Médecins Sans Frontières/Doctors Without Borders (MSF) has launched an emergency response. After some 3,500 displaced people had settled in a newly established camp in Melut county by late January, MSF conducted an assessment of their needs. Since then, two more camps have been set up to accommodate a total of 15,000 displaced people, most of them women, children and the elderly. “We are seeing large numbers of people coming from Malakal, Baliet county and other areas to the south of Melut,” says Isaac Ooko, MSF’s deputy head of mission in South Sudan. Since launching the emergency response in mid-February, MSF teams have conducted around 100 outpatient consultations a day. They have also vaccinated 4,500 children under five against polio and measles, and are planning to distribute 3,600 kits of essential relief items. Some of the people in the camps have been displaced two or even three times since armed clashes broke out in the south of Upper Nile state. Many walked for several days to reach the camps with little food or drinking water. Poor living conditions in the camps and ongoing insecurity remain a constant concern. “When we came here, we were looking for somewhere safe, with food, but we haven’t found a good place,” says 45-year-old Ajith Athor, who fled first to Balet county and then to the city of Malakal before heading for Melut county. With the rainy season on its way, and the possibility of the camps flooding, MSF teams are preparing for an increase in patient numbers. MSF has been working in the region that today constitutes the Republic of South Sudan since 1983, and currently runs 20 projects in nine of the country’s ten states, with regular projects in Agok, Aweil, Bentiu, Gogrial, Maban, Malakal, Nasir, Yambio, Lankien, Yuai, Pamat, and Yida and five additional emergency operations in Juba, Awerial, Malakal, Melut, and Nimule.MSF responds to emergencies, including large-scale displacement, refugee influxes, alarming nutrition situations and peaks of disease such as measles , malaria, acute watery diarrhoea and kala azar, in addition to providing basic and specialist healthcare services. MSF is also providing medical and humanitarian assistance to refugees from South Sudan in Kenya, Uganda and Ethiopia. In the first ten weeks of the current crisis, MSF teams carried out 103,614 consultations (including 40,925 for children under five); admitted 3,767 people to hospital (including 2,282 children under five); treated 1,393 war-wounded; performed 755 major surgeries; and assisted 2,157 deliveries. MSF currently has 333 international staff working in its projects alongside 3,330 South Sudanese staff.